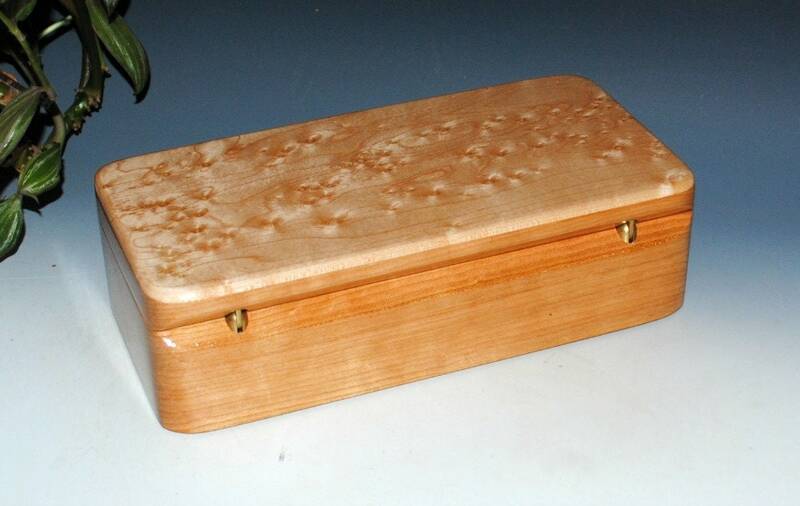 Handmade wooden box with a tray of cherry with Birdseye Maple by BurlWoodBox. 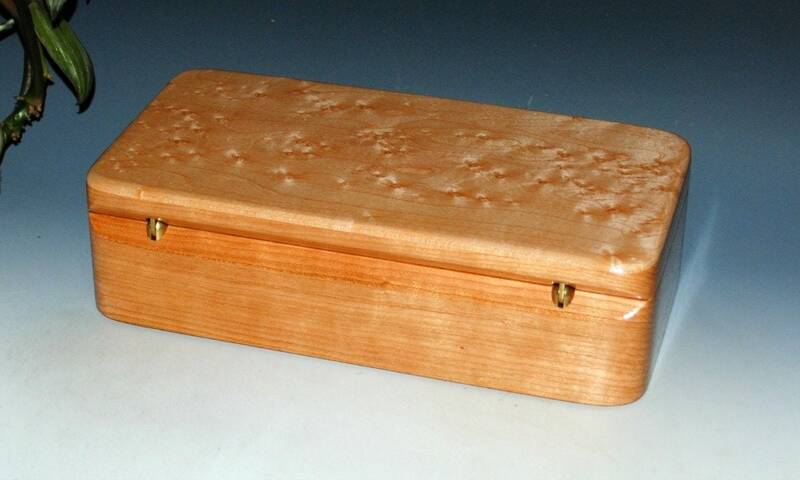 depth under the tray is about 3/4"
Can be used as a jewelry box, a box to stash personal keepsakes or treasures, or maybe on your desk. 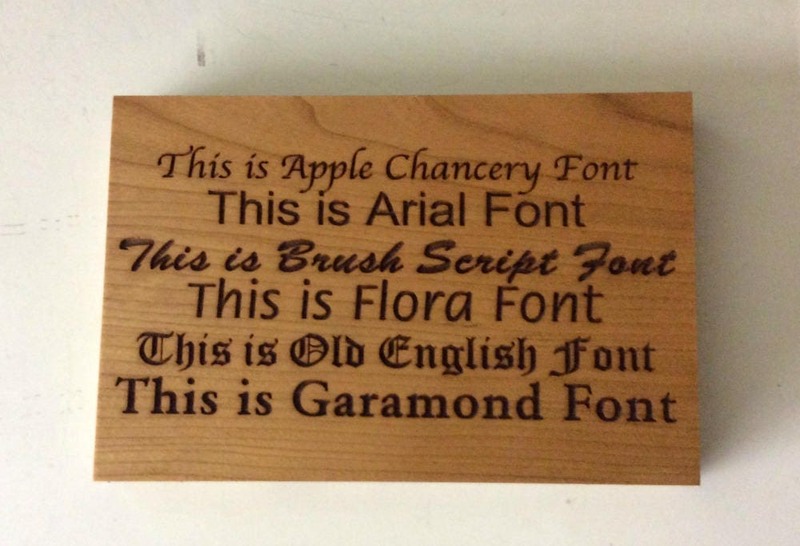 A sharp striking contrast of natural wood colors. This box has a full tray which lifts out. As always, no stains or dyes used on the woods. 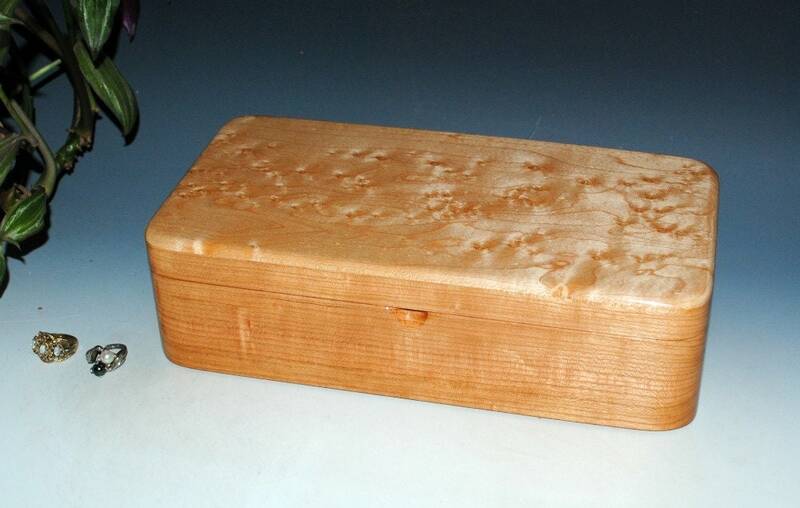 Box is finished with hand rubber tung oil with polyurethane undercoats for better sealing properties. 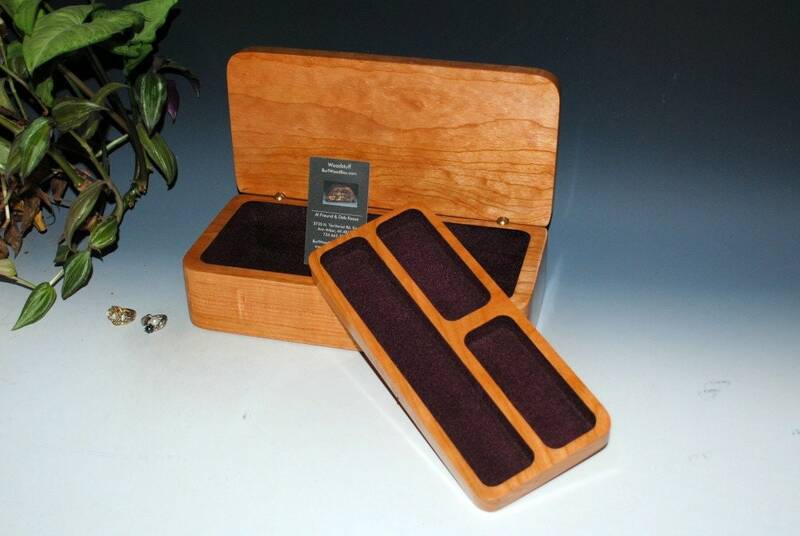 Hinge is our custom barrel hinge which gives the closed box a very clean look. 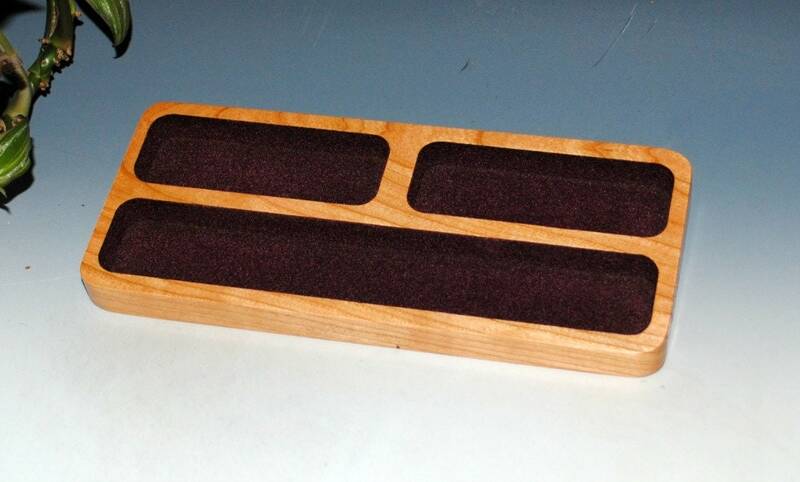 Lined with wine colored suede-tex or rayon flocking. Others please contact so we can get an accurate shipping cost. 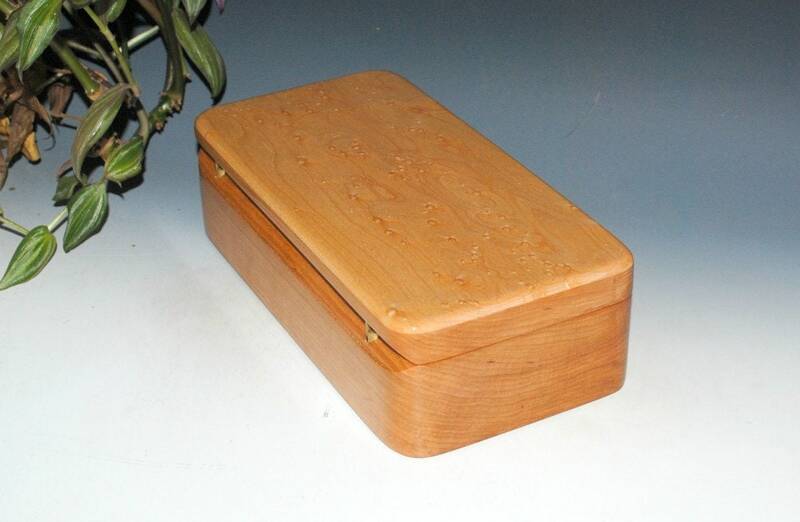 More of this style box can be seen in our Boxes With Trays Section. Link follows. 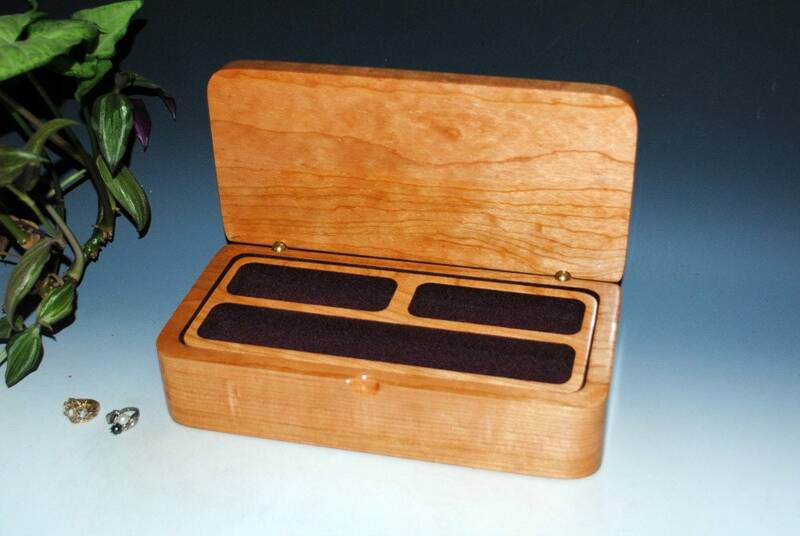 More styles of our wooden boxes can be see from our home page, link follows. 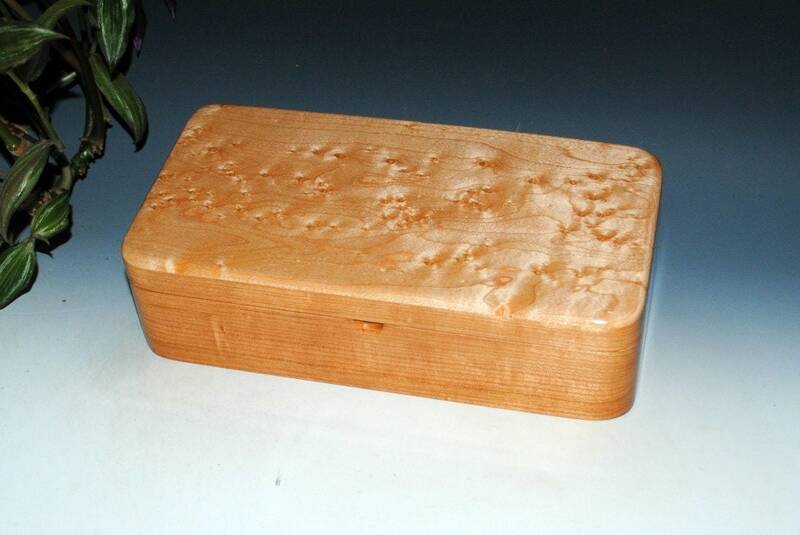 Thanks for visiting BurlWoodBox on Etsy!